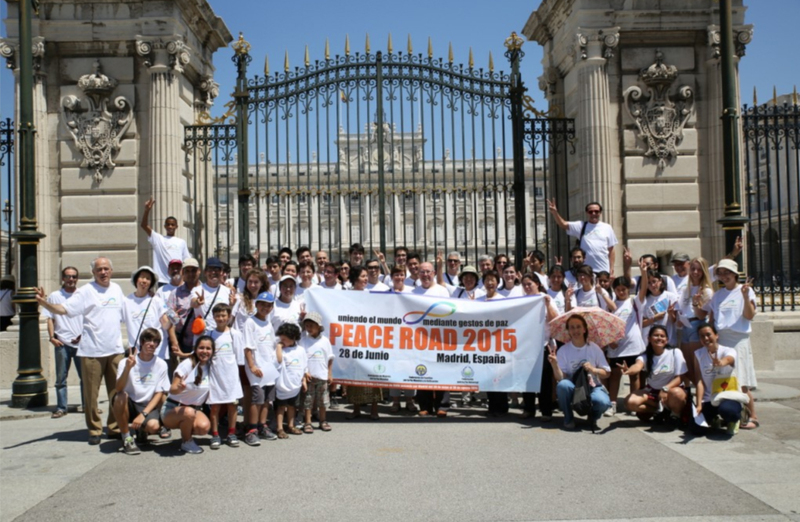 FFWPU Spain: On June 28, Madrid, Spain held the Peace Road with 90 participants. 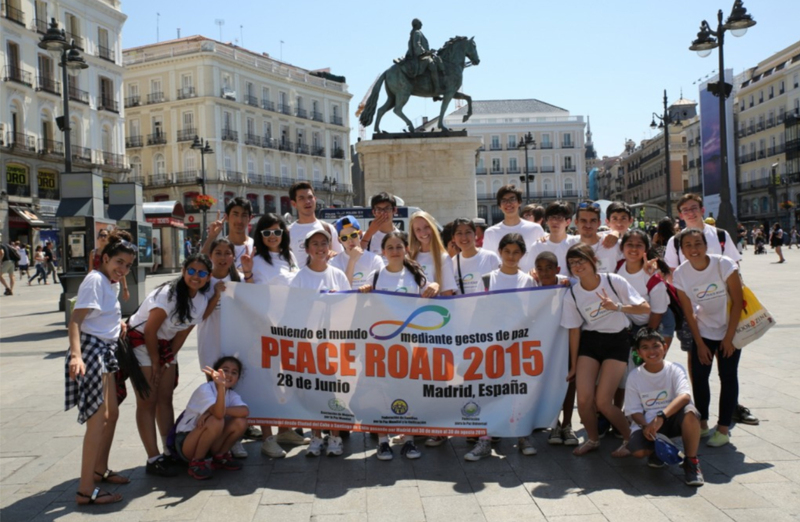 A group of young people began in the city of El Escorial, 50 kilometers from Madrid. They first posed for a picture in front of a famous monastery, built in 16th century by King Felipe II. They took the train to Madrid and walked around the city, visiting famous places. From the Recoletos Train Station they went to Plaza Colon to see a monument to Christopher Colombus. They then walked to “Plaza de Cibeles,” one of the most famous places in the capital. In the center of this square stands the famous Cibeles fountain, sculpted in 1782, from a design by Ventura Rodríguez. Each of the four corners of the square is dominated by iconic buildings, built between the late eighteenth and early twentieth centuries. They continued their way through “Puerta del Sol,” at the very center of the city and finally arrived at Real Palace, to meet another group of people who had been walking from Puerta de Toledo. They took pictures together in front of Real Palace, and in front of Almudena Cathedral. At 5:30 in the afternoon, they finished this Peace Road with a Concert for Peace, by three musicians. The participants were Ambassadors for Peace and friends of Universal Peace Federation. Around ninety people enjoyed music of the world, connecting to the world through their shared dream for peace.